There’s a lot more to your air conditioner than cooling your air and providing a comfortable interior temperature. Your cooling system also filters the air, removing some dust and debris as well as humidity. Of course, there are better air conditioners and special filters out there that will do a lot more than the standard machine. However, even the basic system can do quite a lot for the air quality within your home. When your air conditioner is able to efficiently filter pollutants, you’ll be able to enjoy breathing better quality air. Dehumidifiers can also be installed if you feel like the air is a little bit too humid for your liking. It’s important for you to carry out regular maintenance on your system if you want it to be operating at its best. It will also help you save money in the long run by reducing the chance of it breaking down. 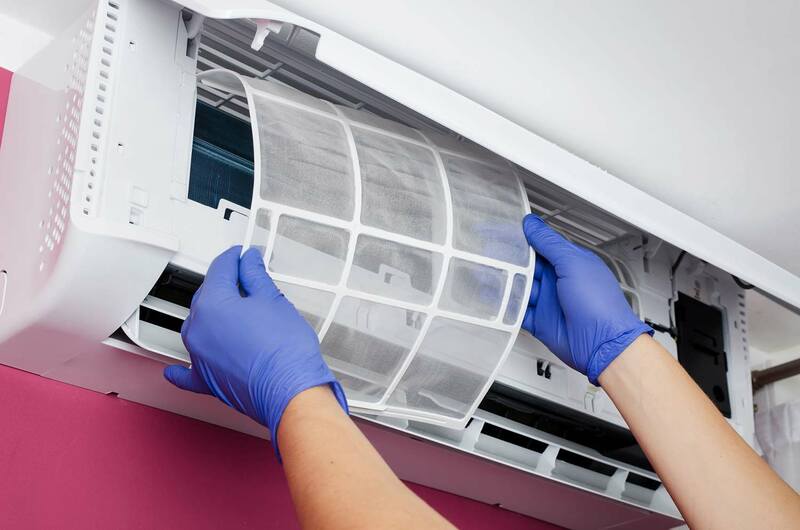 Unconvinced that you need to carry out regular air conditioner maintenance? Keep reading and we may convince you yet. Standard air conditioner filters aren’t going to remove all the dust and debris out of the air circulating in your home. However, it will reduce the quantity by quite a bit and give you healthier air to breathe. If you or anyone else in your household suffer from allergies, asthma, or other respiratory problems, you may be worsening your symptoms by breathing in pollen, dust mites, mildew, and other contaminants in your home. It’s definitely worth the money to have your system regularly maintained so you can breathe better air. Your air conditioner filter ensures that dust and other particles don’t get into the system when the air is sucked into the air handler. It’s important for you to change it regularly or the accumulated debris will damage the system. The standard air conditioner filter will certainly help. However, it’s a good idea to invest in a filter of higher quality to improve the air within your home. You don’t necessarily have to go for the most expensive filter on the market. A midrange model will do. An air conditioner that has been maintained well will last you for a long time. When you fail to carry out regular maintenance, your cooling equipment will get damaged and need replacement a lot sooner than it should. If you don’t want your air conditioner to break down in the middle of summer, make sure your system is regularly maintained. 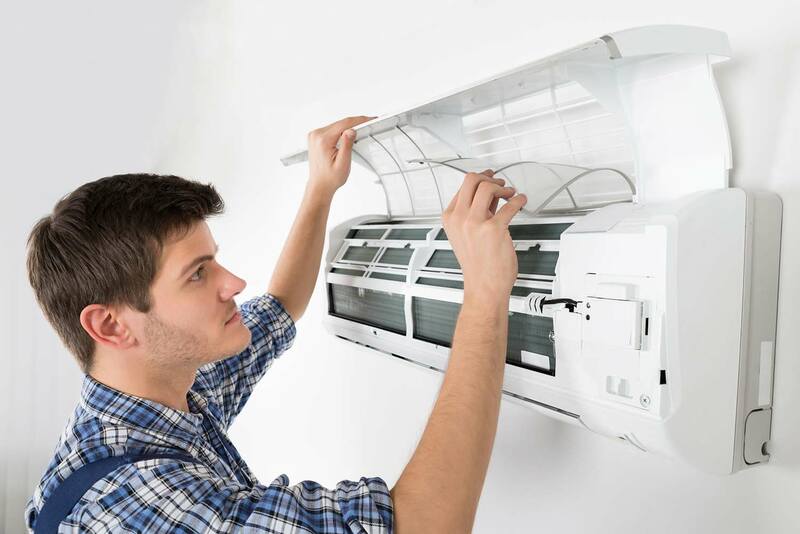 During air conditioner maintenance, a technician will start by going over your whole system and seeing if anything is damaged or needs replacement. They’ll make some adjustments and carry out some tests to make sure that your system is performing at its best. The small changes and the cleaning done during maintenance will ensure that your air conditioner is working efficiently and you aren’t paying a lot more than you should be for it to cool your home. When dust and debris accumulate in your system, air flow will be restricted and your system will be working harder than it should be. Preventive maintenance costs a lot less than air conditioner repairs. You just have to have it done several times a year and you’ll be enjoying a fully functioning system all year round. It’s a lot like car maintenance. Visiting the mechanic to ensure that everything is working well will save you a lot of time and money dealing with a more serious problem in the future. When you’ve got good air flowing inside your home, your air conditioner will be working better. And of course, you’ll be able to breathe easy – literally! Have you had your air conditioner maintained lately? If not, it may be time to schedule a visit from your technician! Penguin Cool specializes in air conditioning maintenance & repairs in Fort Mill, NC. Get in touch today to see how we can help!